July 25, 2017 – Although the rings lack the many colors of the rainbow, they arc across the sky of Saturn. From equatorial locations on the planet, they’d appear very thin since they would be seen edge-on. Closer to the poles, the rings would appear much wider; in some locations (for parts of the Saturn’s year), they would even block the sun for part of each day. 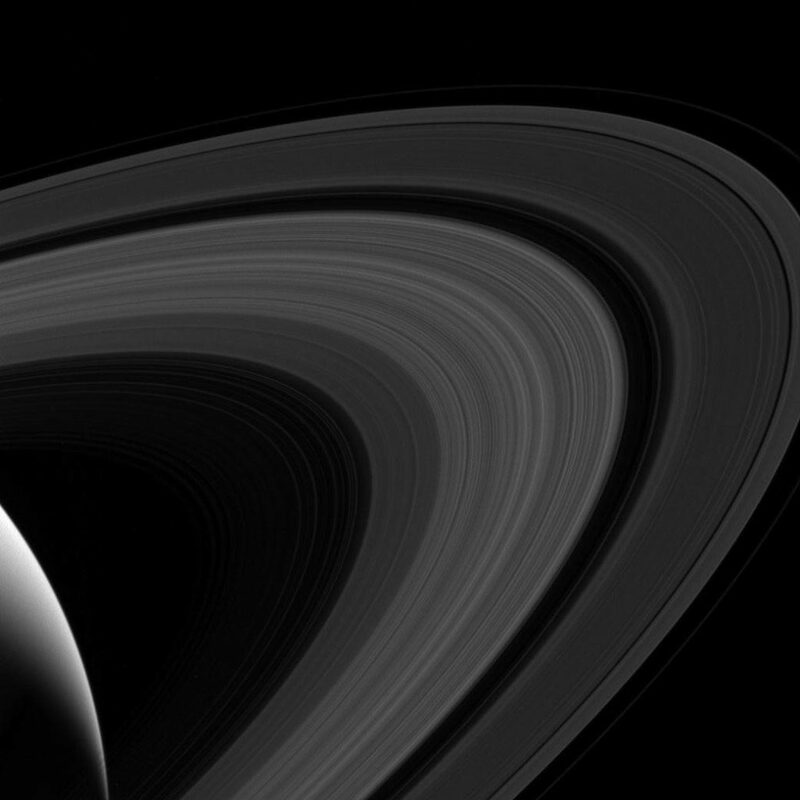 This view looks toward the sunlit side of the rings from about 19 degrees above the ringplane. The image was taken in visible light with the Cassini spacecraft wide-angle camera on April 10, 2017. The view was obtained at a distance of approximately 680,000 miles (1.1 million kilometers) from Saturn and at a sun-Saturn-spacecraft, or phase, angle of 128 degrees. Image scale is 43 miles (69 kilometers) per pixel.